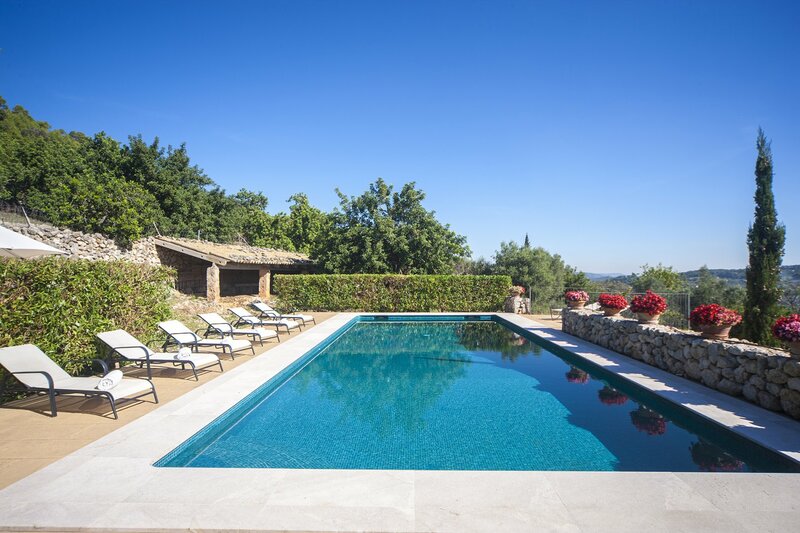 This wonderful vacation home Cas Collector is situated nearby the town of Caimari. 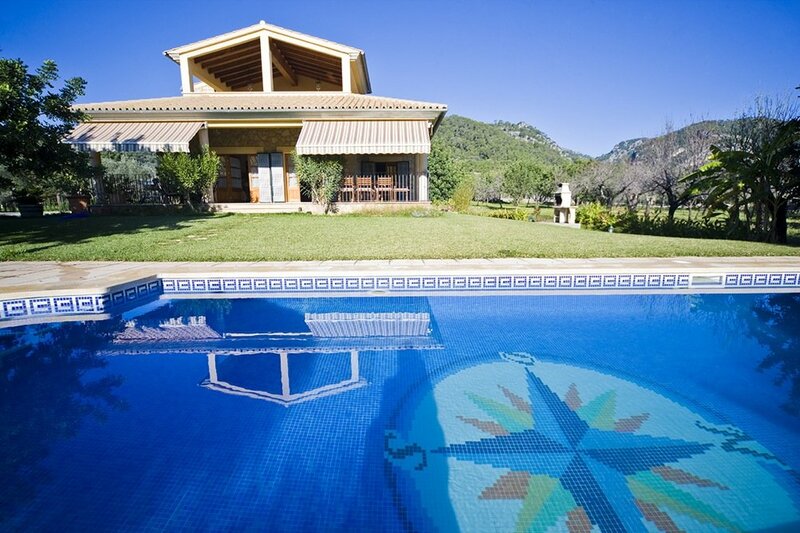 From the house and garden you have a marvelous view over the surrounding 'Tramuntana' mountains. The house "Cas Collector" offers a living space of 200m2 and the estate measures a total of 7000m2. On the ground floor there is a large kitchen and doors leading to the terrace and garden, for children there is table tennis. There is also a bedroom and a bathroom with shower. On the first floor there are bedrooms, bathrooms, living room, second kitchen and a big terrace. All the bedrooms have airconditioning. In the garden there is a 8 x 4 large swimming pool, surrounded by lawn with fruital trees. The property is surrounded by a fence and therefore is very suitable for families with (small) children. In the house there is WIFI internet.